EFPIA member companies have developed therapies that involve taking out someone’s cells, editing them, putting them back and those cells take the fight to the patient’s cancer. EFPIA member companies have developed therapies that involve taking out someone’s cells, editing them, putting them back and those cells take the fight to patient’s cancer. Now, I am no Sci-Fi fan expert but I am pretty sure that just a decade ago, the very notion of cell editing would have been worthy of a trip down the red carpet surrounded by Jedi’s, Droids and Star troopers. But now, the seemingly impossible is being made possible by some incredible science and a host of incredible people behind it. And that, is the story behind #WeWontRest. We have all met those individuals in our industry whose passion, dedication and commitment to discovering, developing and delivering new medicines to patients is infectious and inspiring. You have a coffee with them, hear them speak at a town hall or meeting and you leave feeling a little bit taller, more excited and keen to see what difference you can make. We all know that patients never stop facing the challenges brought about by the conditions they live with; illness never takes a break. And so, as an industry #WeWontRest in our quest to deliver the next piece of of the puzzle, the next innovation, incremental or breakthrough, that will make a real difference to people living with disease. Our industry employs over 120,000 people in research and development across Europe. But, as my secondary school biology teacher Mr. Brown will testify, we are not all destined for scientific greatness. You don’t have to have discovered a new kinase or mapped the genome to be part of the story. 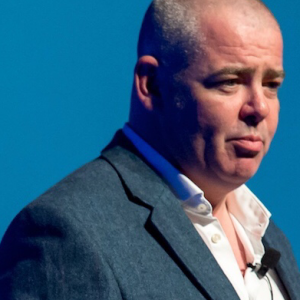 Many of us are involved in someway in the long, complex and risky road that takes the seed of an idea, develops it, gets it through licensing, through HTA, navigates national and local pathways before eventually getting a new medicine to patients. It’s a story that is making a difference to millions of patients and millions of families right across Europe. It’s the essence of #WeWontRest, the endeavour, the endless experimentation, failures and breakthroughs. It’s a story that has resonated across industry and beyond. 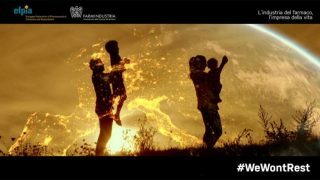 Originally designed as a vehicle to tell our innovation story in Brussels, since its launch in June of this year, #WeWontRest has been introduced in 19 languages, across 23 countries, mainly in Europe but as far as Chile and Mexico. 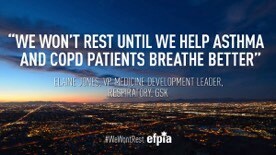 From metro stations and billboards in Paris to drones flying high above advanced manufacturing sites in Ireland, EFPIA member companies and associations have been finding inventive and impactful ways to tell their #WeWontRest stories, their ambitions for the therapy areas they work in and the difference they want to make to patients. Over 30 million people have seen the #WeWontRest story. 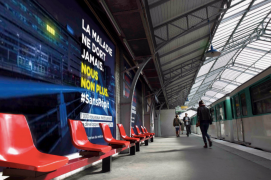 In France, one in five citizens recognise the campaign, with 81% of them placing our industry at the cutting edge of innovation as a result of #WeWontRest (or #SansRépit as it is in French). On a macro level, it’s the first time we have told our industry’s story across companies and across countries. 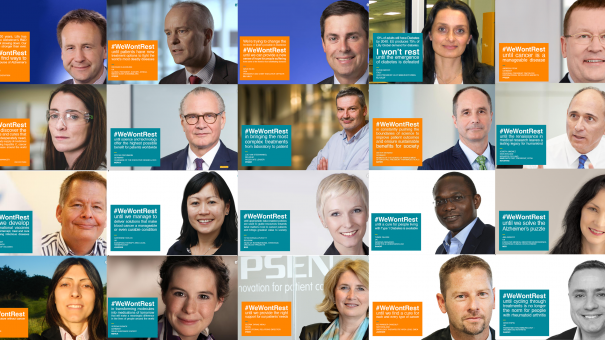 And a key feature of #WeWontRest are the personal pledges made by everyone from laboratory technicians to global CEOs, chief scientists to regulatory, manufacturing and supply colleagues. It has shown the incredibly diverse range of skills, expertise, disciplines, geography and backgrounds our people bring, but the common thread is the commitment to improve the lives of patients. Looking at the societal narrative around the introduction of exciting health technologies in to the system, where there should be excitement, health systems under pressure from an ageing population and increased prevalence of chronic disease often have a singular focus on the short-term budget impact of these new treatments with little or no reference to the value they deliver. Innovation has begun to been seen as part of the problem, rather than integral to addressing the challenges faced by our healthcare systems. In some fora, this near myopic focus has been a barrier to critical discussions on the long term sustainability of our healthcare, discussions on evolving HTA, adapting regulatory pathways, horizon scanning, outcomes-focused approaches and more flexible financing solutions. #WeWontRest, with its focus on innovation provides a vehicle to spark some of these important discussions. 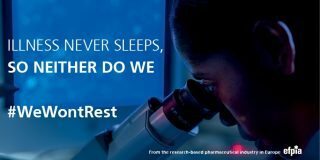 Over the next few weeks we will continue to see #WeWontRest launch across countries in Europe. During 2018 we will continue to tell the innovation story and look at the impact of this innovation on patients and our healthcare systems. We will explore where shared #WeWontRest commitments with other actors in the healthcare system can result in collaboration and partnerships to benefit patients. You can follow the #WeWontRest story on social media @EFPIA or by searching #WeWontRest. We want to hear your stories and pledges, your ambitions for the therapy area you work in. You can contact EFPIA directly at wewontrest@efpia.eu or by contacting your company communications teams. Individuals across our industry have an amazing story to tell and through #WeWontRest we hope people are excited, inspired to tell that story. Andrew Powrie-Smith is Executive Director of Communications and Partnerships at EFPIA.